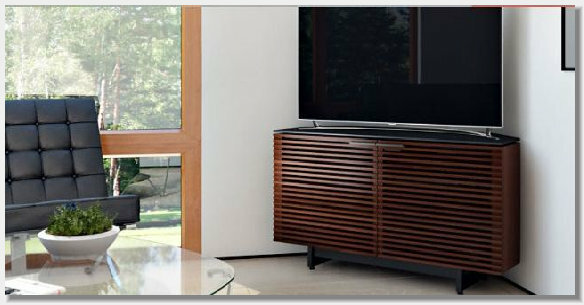 BDI is the premier choice for home theater furniture for good reason. Cabinets and TV stands are engineered with integrated features that make them more than simply a place to hold your components. 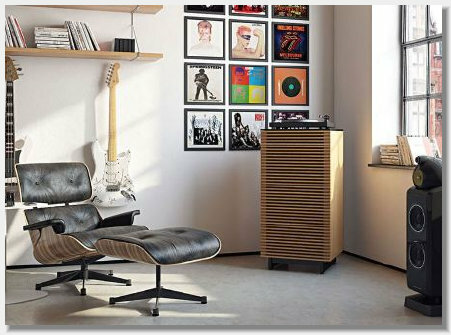 From the family room to the living room to the bedroom, there’s a BDI solution for any setting. Click on the BDI logo to link you to their website. Take a look at all they have to offer for your home. BDI has several very stylish corner friendly units to choose from. Customizable storage for AV components, media, a turntable and/or LPs.